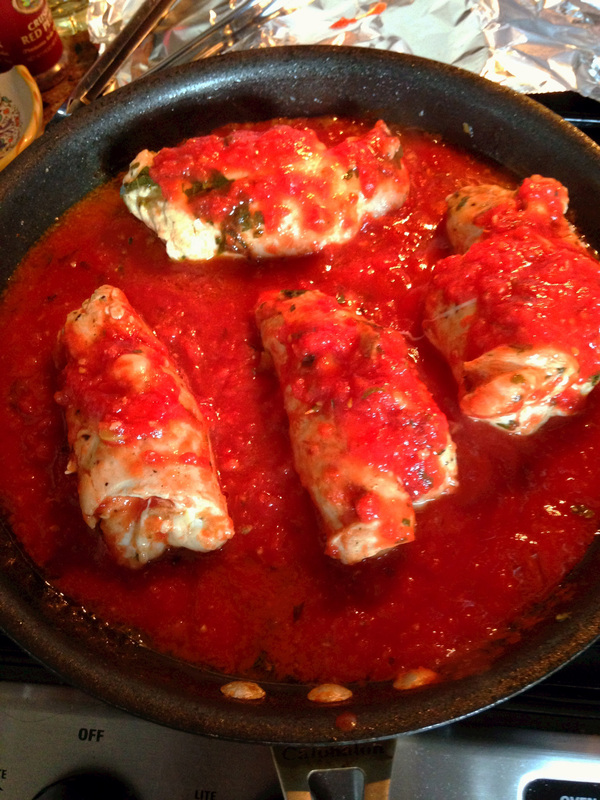 If there is one type of food I absolutely love to make it’s anything Italian. 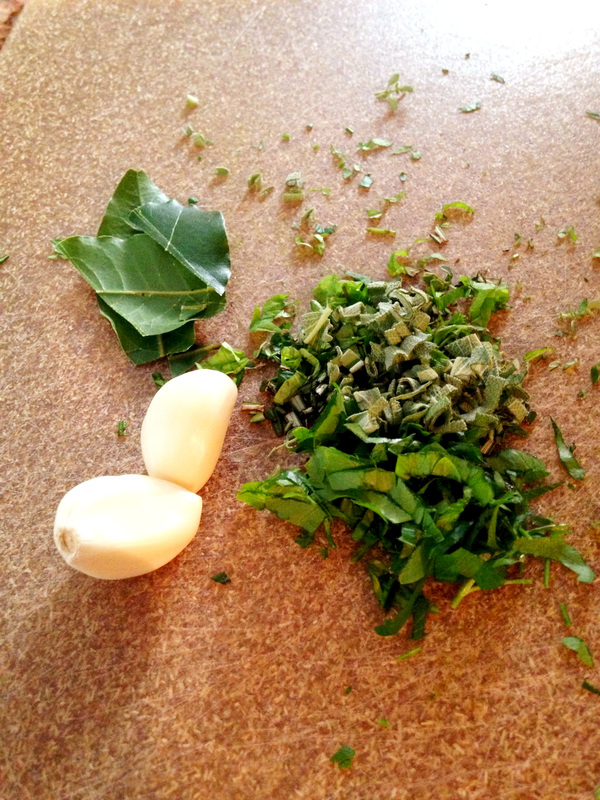 There is NO better smell than that of fresh garlic and basil simmering away on the stove. I can’t get enough of it! This recipe fulfills all my favorite smells in one dish – fresh herbs, chopped garlic, sharp cheese, fresh tomatoes….you get the idea. Heaven in a pan. 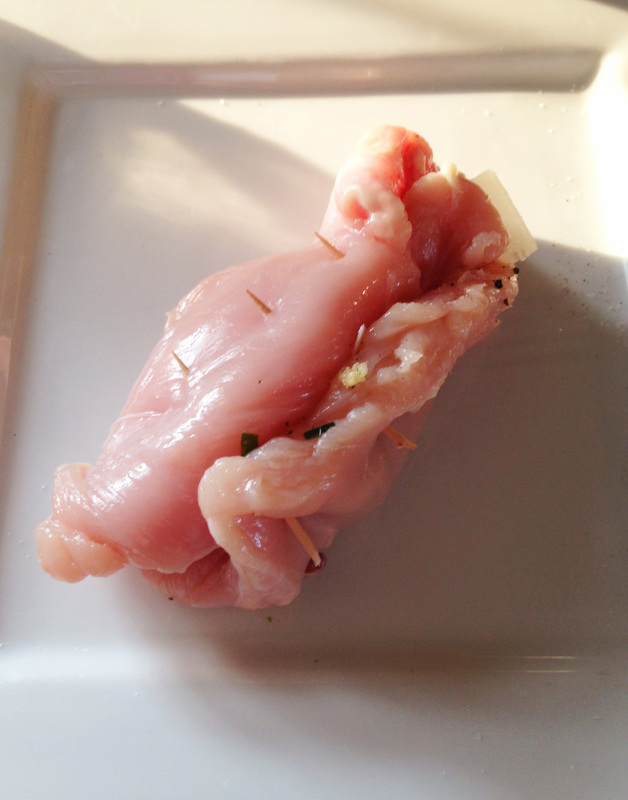 This recipe requires pounding your chicken so that it is thin enough to roll, a task I turned over to my husband. He willingly took on the job and rather seemed to enjoy it if you ask me ;) If you don’t feel like using a mallet, you may be able to find thin breasts that have already been pounded at your local store. OK, let’s get started! This recipe does have a fair number of ingredients, but a lot of them are simply fresh herbs so don’t let the list deter you! This recipe serves 4. I told you it was a lot of herbs! OK, let’s get to it. Speaking of herbs, time to chop. I simply chop up all the herbs in the ingredient list and keep them on my cutting board. You will want to put a little over half of your parsley in its own special pile as that is used to season the inside of the chicken as well. Once chopped, set aside. On to the chicken. Take your mallet or back of a heavy spoon (my method) to your chicken. I place each chicken breast in a freezer bag and just pound it to my required thinness. That way, no mess and I can just throw away the bag! For this recipe, try for 1/4″- 1/2″ thickness. 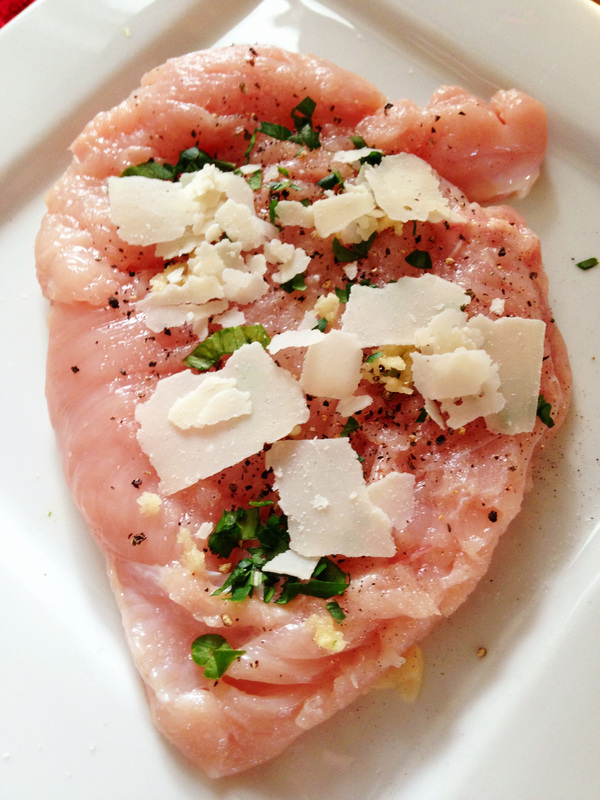 Once your chicken is ready, place the breasts on a plate and season the inside of each one with salt and pepper. Next divide up the garlic, pecorino, parmesan and mozzarella and use to cover each slice. This picture doesn’t include my mozzarella cheese, but trust me, it was added right after this picture! 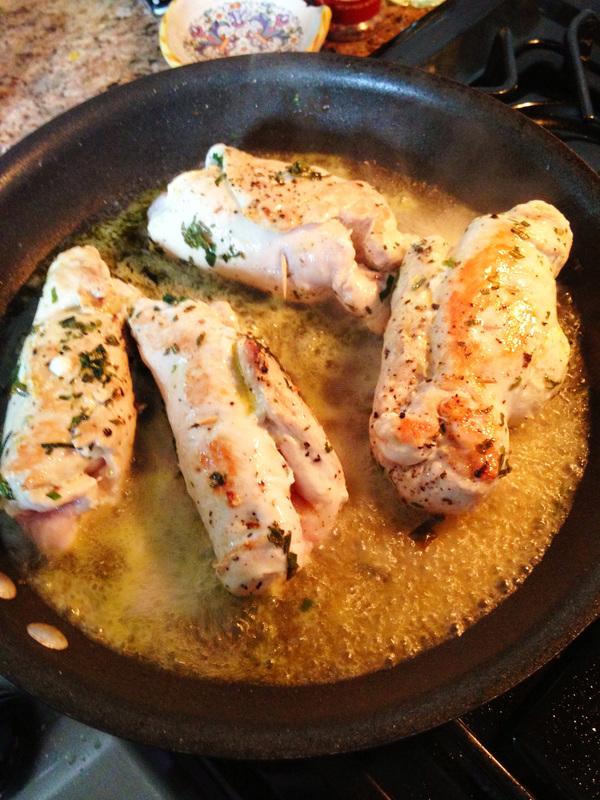 Set your chicken aside and heat a heavy pan over medium heat with two tablespoons of olive oil. 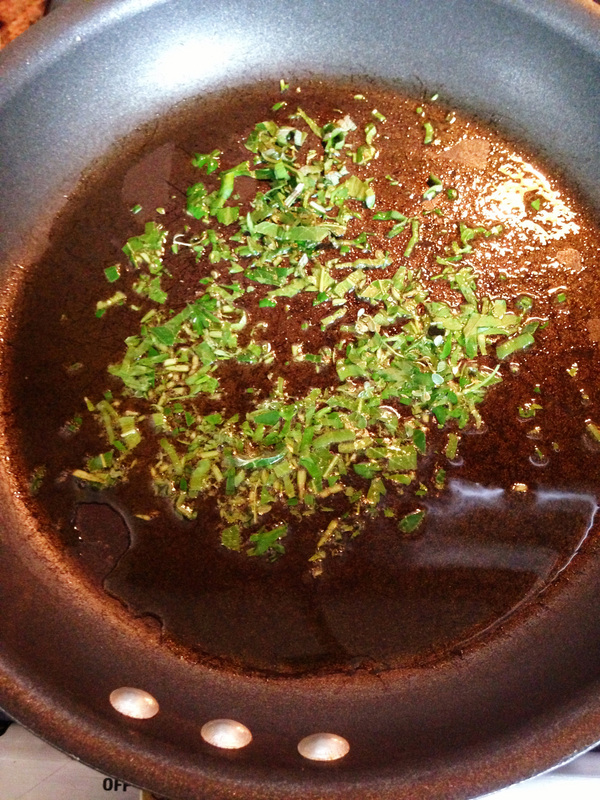 Add the remaining parsley, mint, bay leaves, rosemary and sage to the pan and cook for about one minute. Next, add in your cutlets. Quickly brown the chicken on all sides. When they cutlets are nicely browned, pour in the white wine and continue cooking for about 15 minutes until the wine has reduced by half. Trust me, your kitchen is going to smell pretty amazing at this point! Feel free to periodically rotate the cutlets as they slowly simmer in the wine. After about 15 minutes, add your ground up San Marzano tomatoes. Add salt and pepper and red chili flakes (as many as you want depending on how hot you like things – I added a couple shakes). Cover the pan and leave to simmer over low heat for about 15-20 minutes. As your chicken cooks, feel free to scoop some of the tomato mixture and spoon it over the cutlets to keep things nice and tasty. When my cutlets were cooked through I added another half-slice of mozzarella cheese to the top as my husband firmly requested “lots of cheese please”. I also added a bit more salt and pepper to the sauce at this point. Once cooked and out of the pan, sprinkle with fresh basil chiffonade and inhale. What a smell! Doesn’t that look delicious?? 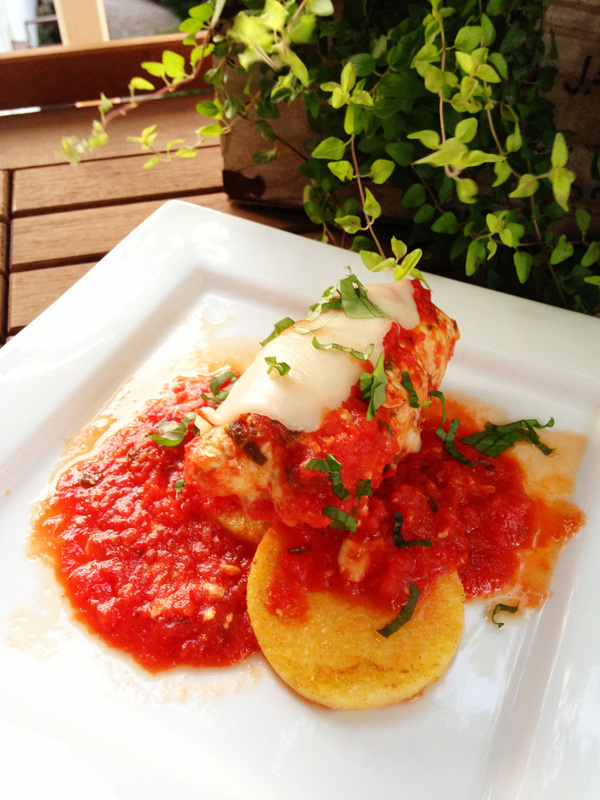 I served this with a side of polenta instead of pasta. It made for a nice combination and something different. Dinner was enjoyed outside on our deck, cat lounging, warm summer air, the sounds of crickets chirping. Perfection. Yum!!! This looks so good. Can’t wait to try it.